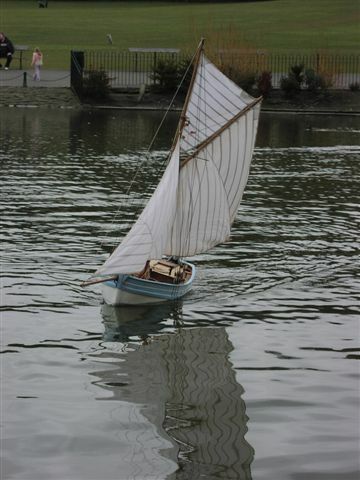 These photos show the first sail of my model "Louis Heloise" a 1:10th scale model of a French Bautier. 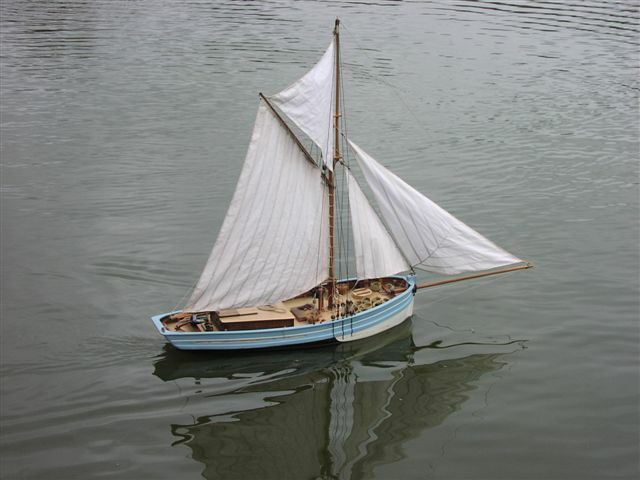 With an overall length of 62" and a beam 12.5" I feel that it has a real presence on the water. The lower part of the hull is fibre glass ( produced by Mastman) the rest is timber. 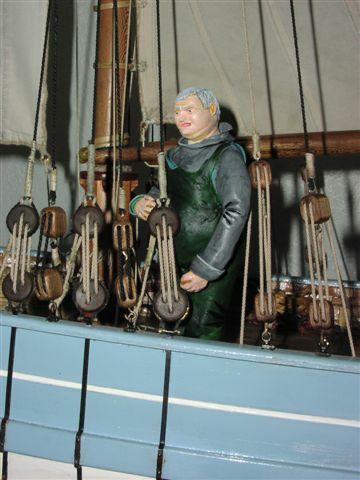 All fixtures and fittings are scratch built including working blocks and rope using a homemade ropewalk. 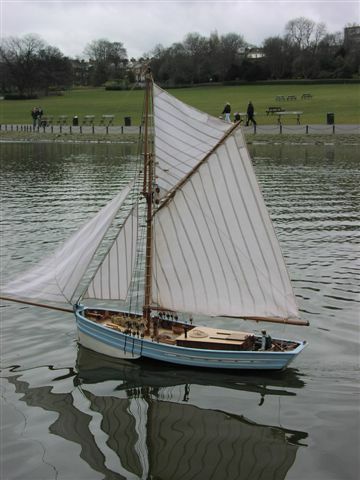 The sails took as long as the rest of the model as I had to learn how to use a sewing machine and the electric iron to produce the pleats( the wife is pleased as I now occasionally do the ironing). With 28lbs of lead for ballast a lot of thought had to go into the launch procedure. A Christmas gift of a fishing trolley has solved the problem and has also stimulated interest at the club (Saltwell Park Model boat club). The crew are made using polymer clay and the inspiration for these are my father and father in law, I don't think that they are too pleased. I still have one or two things to do to finish the model and I can't wait for a steady breeze to give her a real try out. Finally I would like to thank the wife and kids as they have had to eat with their dinner plates on their knees as the kitchen table was used as the work bench for the last twelve months..